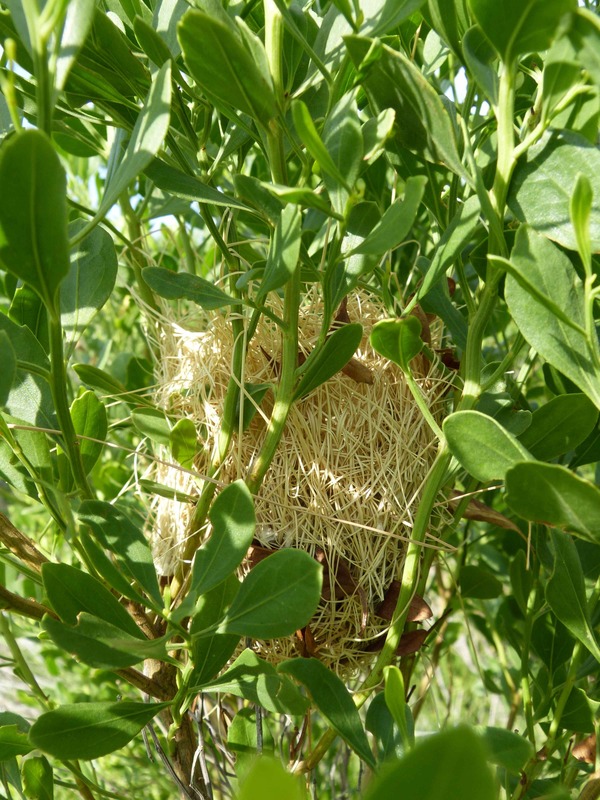 Summer 2012: Orchard Oriole Nest | Après la pluie, le beau temps. 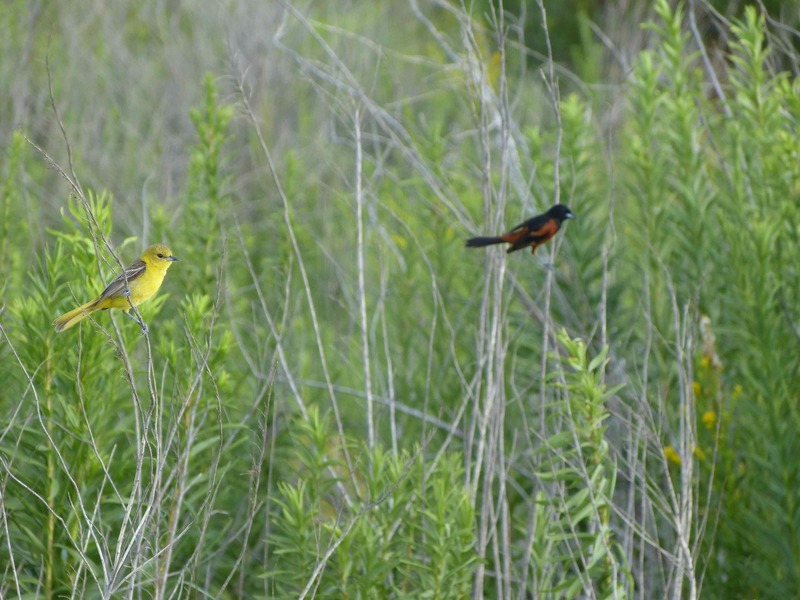 Then I started noticing that when I drove the vehicle through the travel corridor that led to the front beach, a female Orchard Oriole would fly from the same location every time. 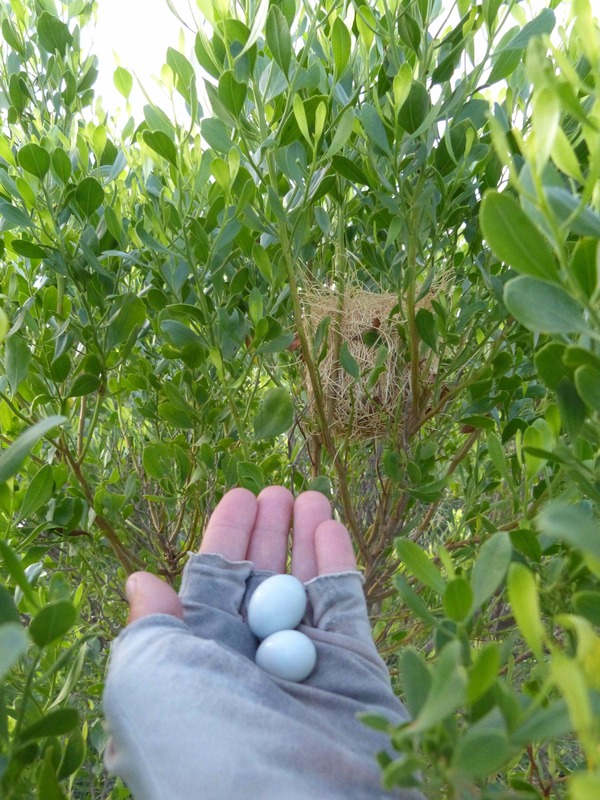 Once I was aware of this pattern of retreat, it was very easy to find the intricately woven straw colored nest hanging among the branches of a Groundsel bush at the edge of the road. 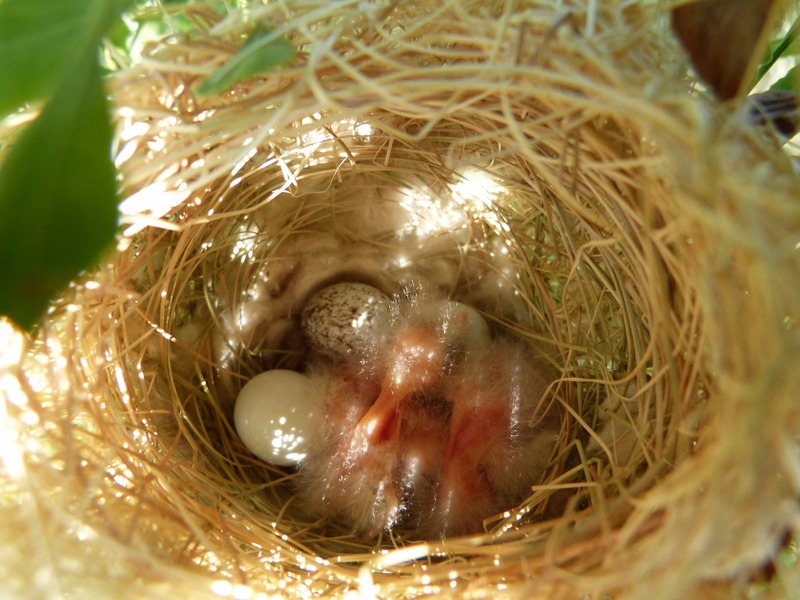 Imagine my surprise when I looked in the nest and found 5 Orchard Oriole eggs along with 3 Cowbird eggs! 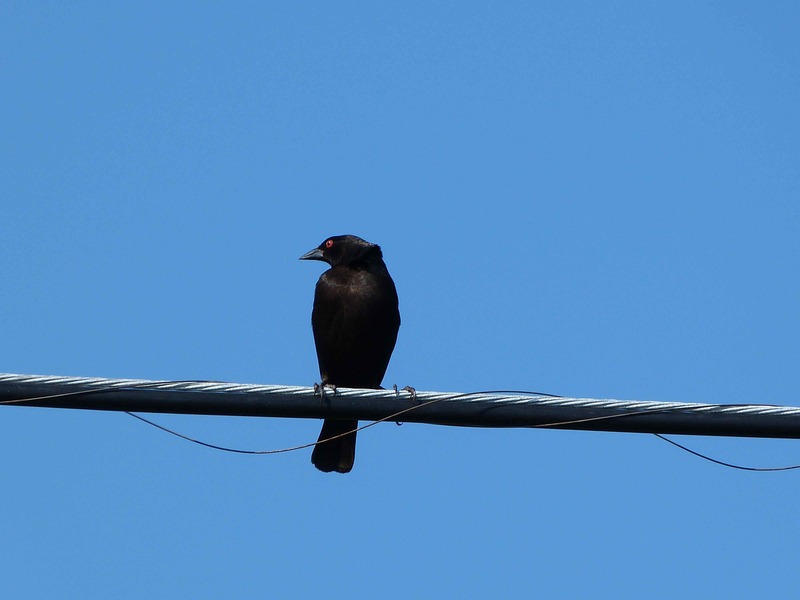 I am not certain if the eggs came from a Bronzed Cowbird (pictured below) or a Brown-headed Cowbird or both. 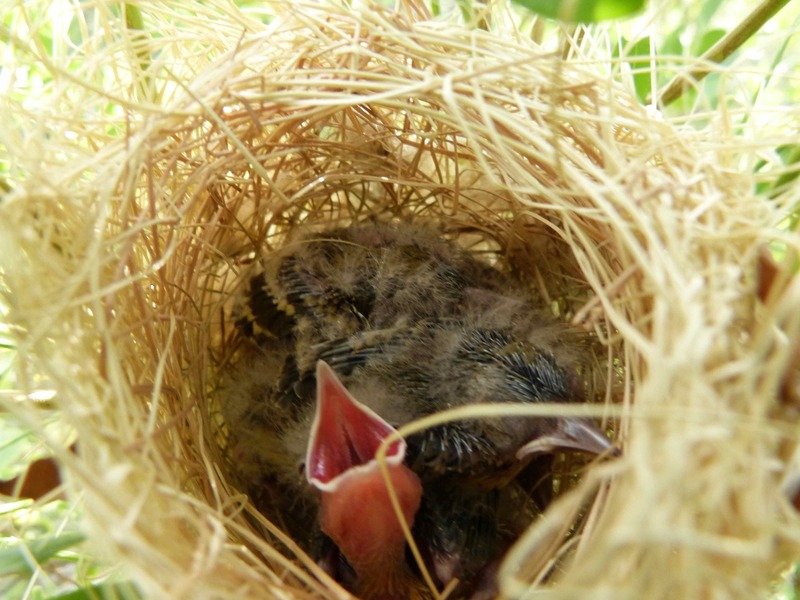 Perhaps I should not have interfered but I decided to remove the parasitic eggs from the nest. 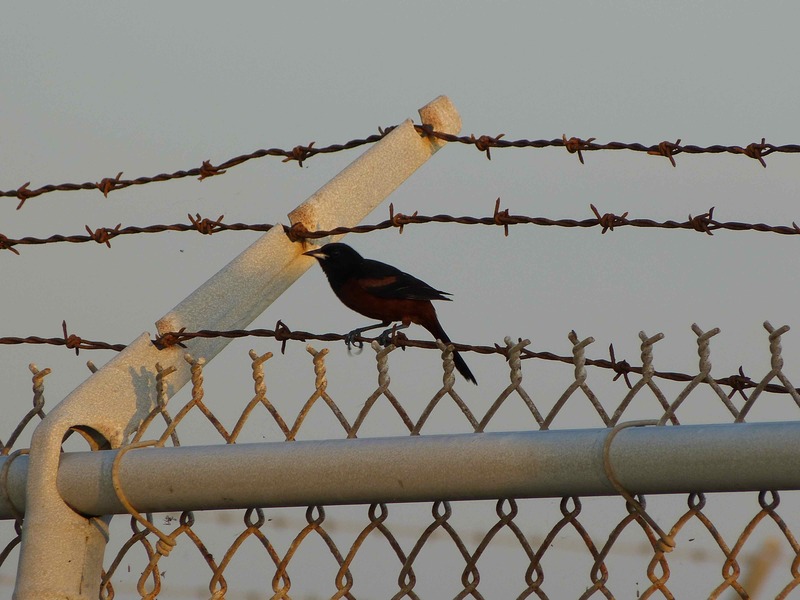 Then, I remembered a talk radio episode that equated cowbirds as the “mafia” of the bird world. 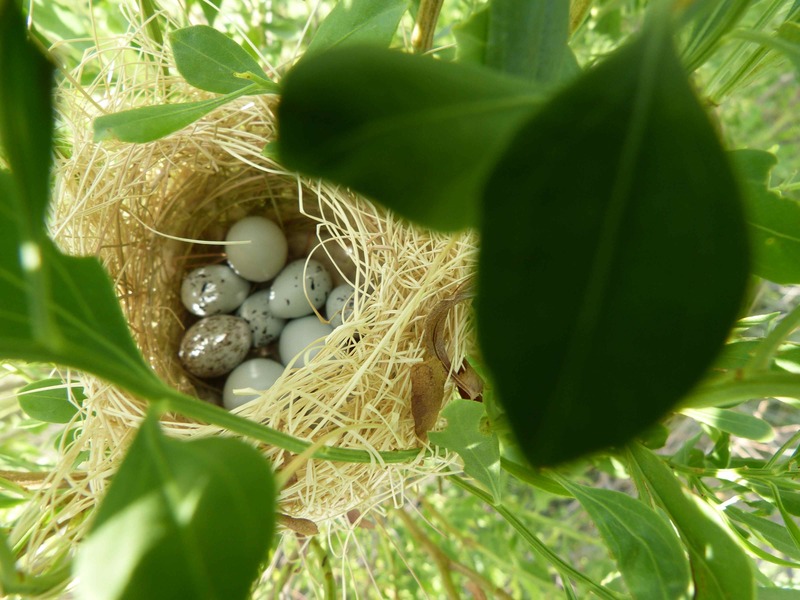 Removing the eggs might cause the cowbirds to come back to the host nest and destroy it. 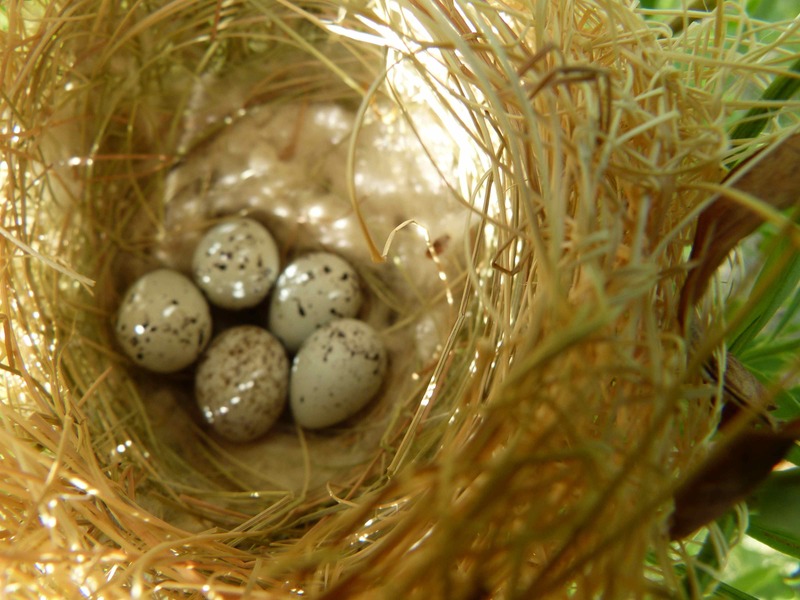 I wondered if I might be able to sterilize the cowbird eggs and then place them back into the nest. 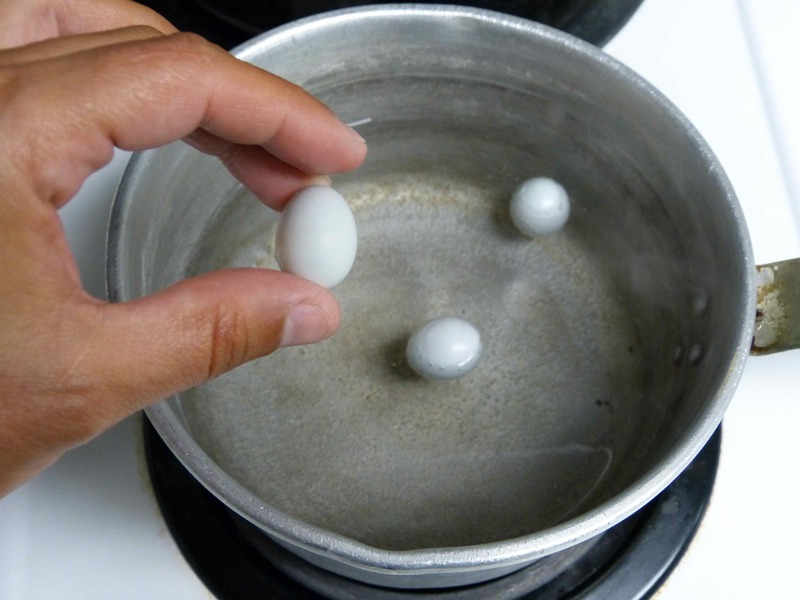 And so I “cooked” them (not quite to boiling temperature.) 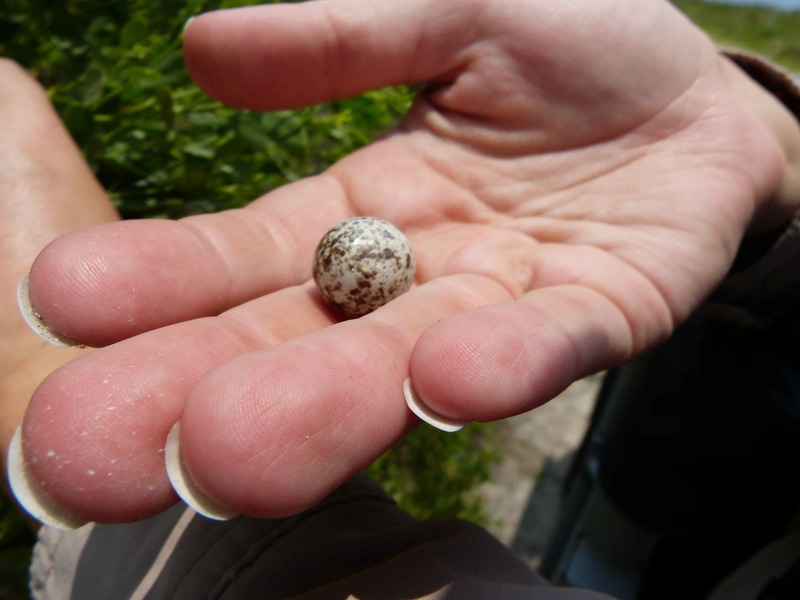 One egg had a small dent in it (likely pierced by a cowbird) so I discarded this egg. 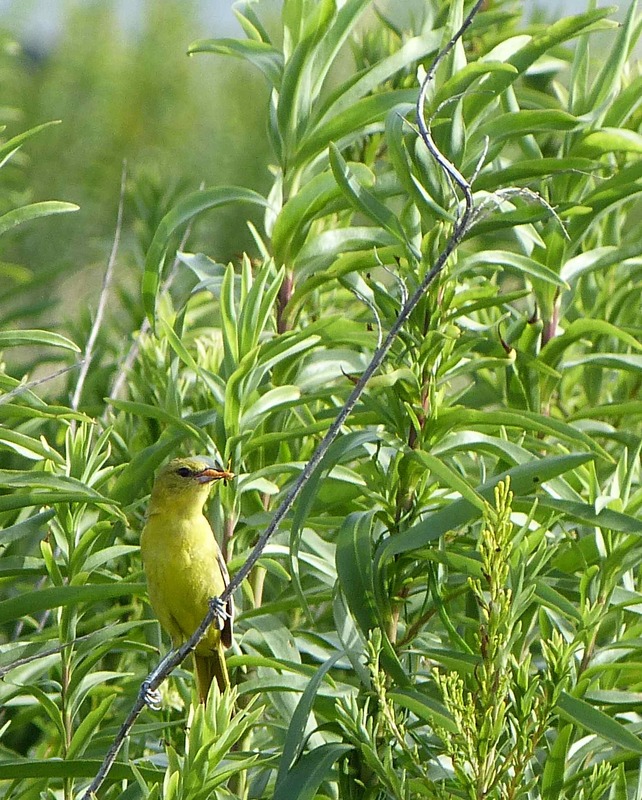 The remaining two were brought back to the Oriole nest first thing the next morning and placed alongside the host’s clutch. 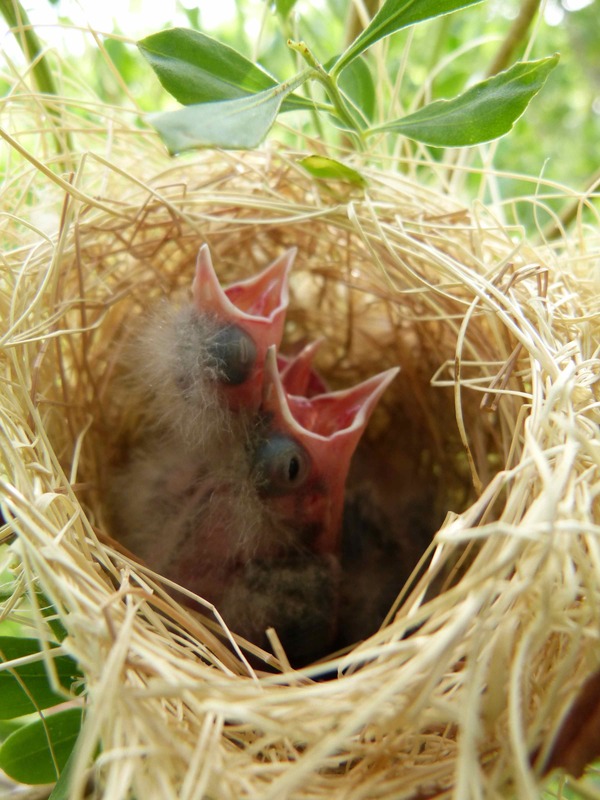 Four days later, the nest began to hatch. and then flew? 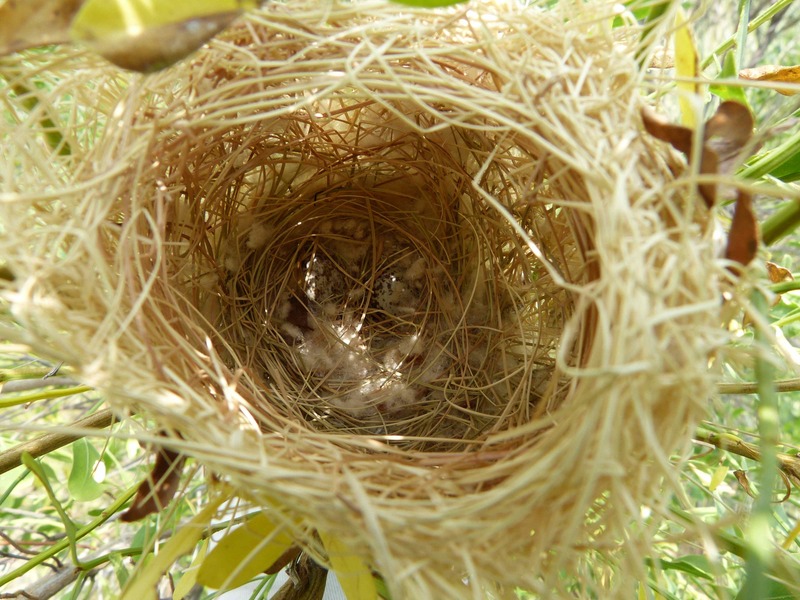 On June 27th the nest was empty. 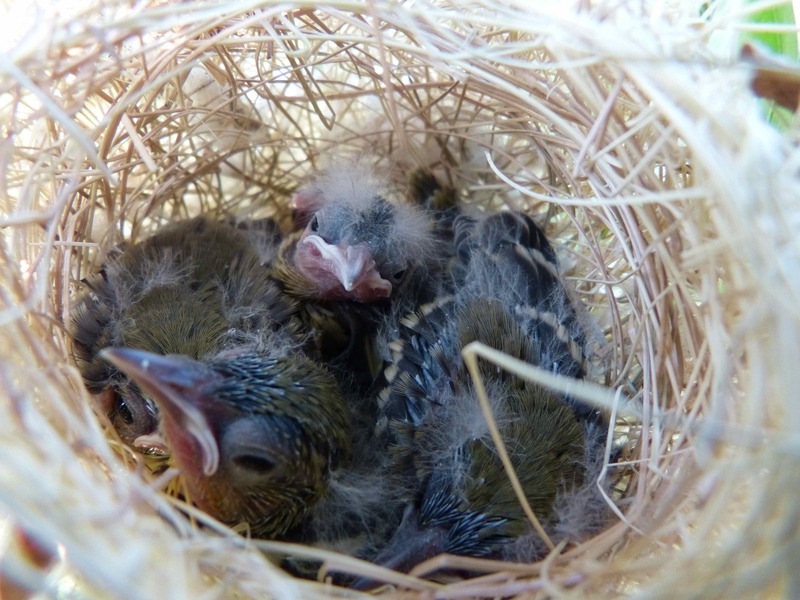 I did not see the chicks again and do not know for certain that they fledged. The adults were in the vicinity for a short while after the chicks left the nest and appeared to be foraging and feeding the young. 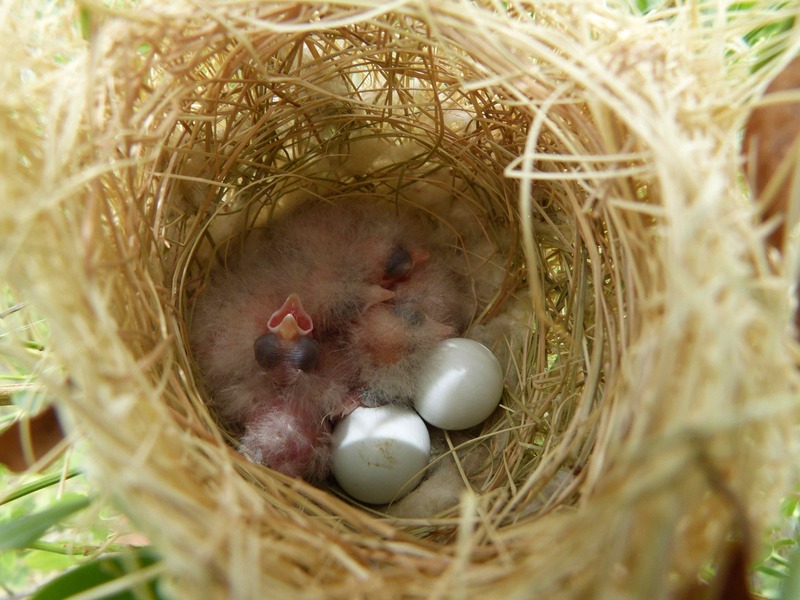 Only three chicks could have fledged- as evidenced by the last photograph of the birds in the nest and by what remained after their departure. 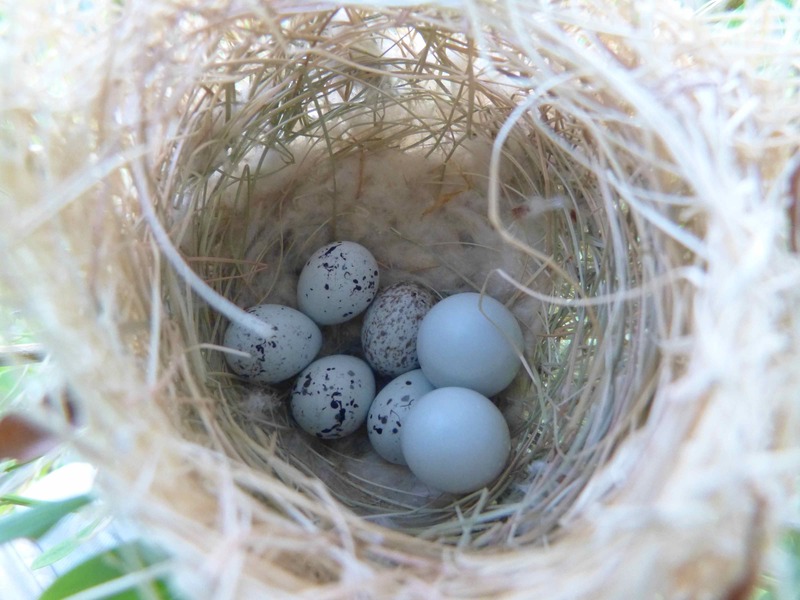 A closer investigation revealed two Orchard Oriole eggs buried in the floor of the nest. 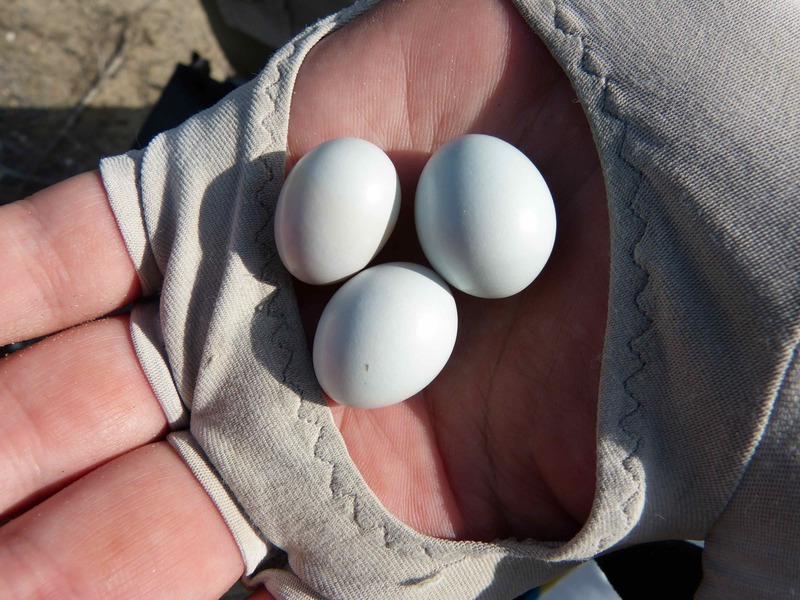 Note: A scientific collecting permit is required to take or collect birds and their nests and eggs.